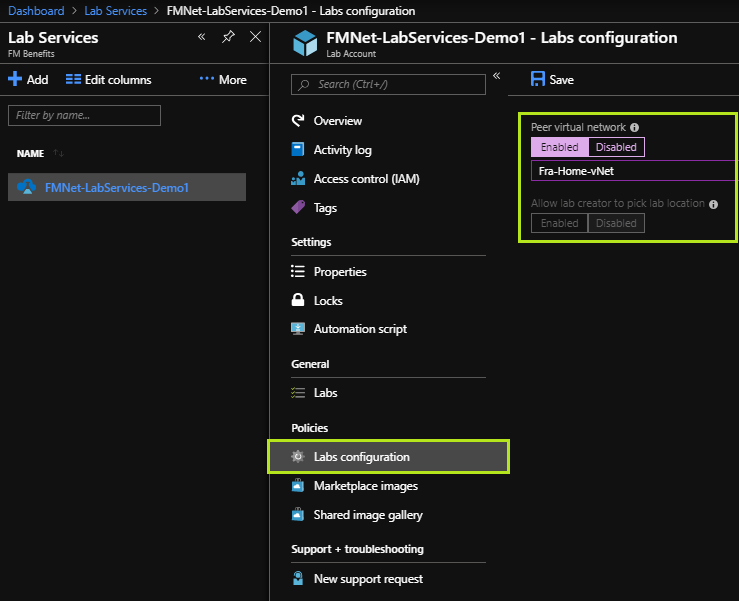 In Azure there is a service called Azure Lab Services to enable lab environments in the cloud, built from a collection of preconfigured virtual machines, in a simple and rapid way. Thanks to this service you can provide a custom lab environment for training or to work in isolated test and development environments. This article shows how to enable and configure the service and explores the main features of the solution. Users who receive the invitation have immediate access to virtual lab machines. All this is possible without having to provide access permissions on the Azure subscription. Access to the lab is done using a simple user experience, through a dedicated web portal. You have the ability to create customized templates for VMs, from which generates virtual machines for different lab. In order to achieve efficient use of resources, is given the option to schedule the automatic startupshutdown of the VMs and the option to limit the hours of use, using quotas. The end result is an optimization of operating costs. Provides the ability to quickly and easily do the provisioning of systems and to scale in a flexibly way, without having to worry about the infrastructure required. Professional training or school classes: to configure the lab VMs in a custom way, according to the requirements of the course, to provide an environment where each participant connect and make practical activities and exercises. Hackathons and hands-on labs: to provide an interactive experience during conferences and events, with the ability to easily scale based on the number of participants. Environments for trial and personalized demo: to provide access at the invitation in a private lab where you can make the demo, before the official release of a software solution. Machines for development and test environments: to provide an environment where you have preconfigured systems, used for purposes of development and application tests. These are images that provide the creation of a single virtual machine, using the deployment Azure Resource Manager (ARM) and do not require additional software licenses. 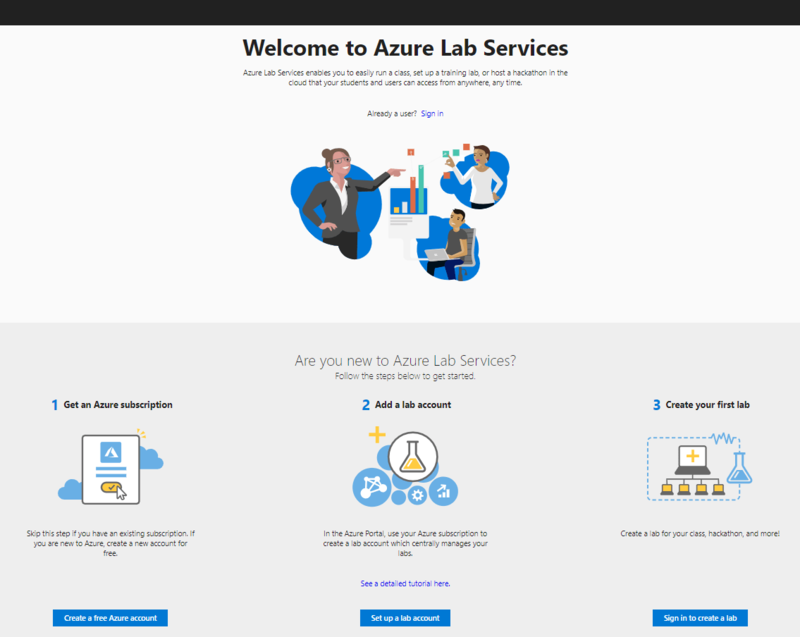 Completed these configurations you can access the portal dedicated to Azure Lab Services to proceed with the configuration of the lab environment. At the end of this creation process you can make changes to the virtual machine template, by directly connecting via Remote Desktop, such as the installation and configuration of additional software. Virtual machines: view the list of virtual machines and their allocation status. For each virtual machine you can manage the start, the shutdown, the cancellation, access via RDP and display how many hours the user has used it. Scheduling: set up a mechanism that allows you to turn on and off automatically the VMs in the lab according to a specific or recurrent scheduling. For full details about schedule management consult this document. Users: manage lab enabled users and obtain its registration link. 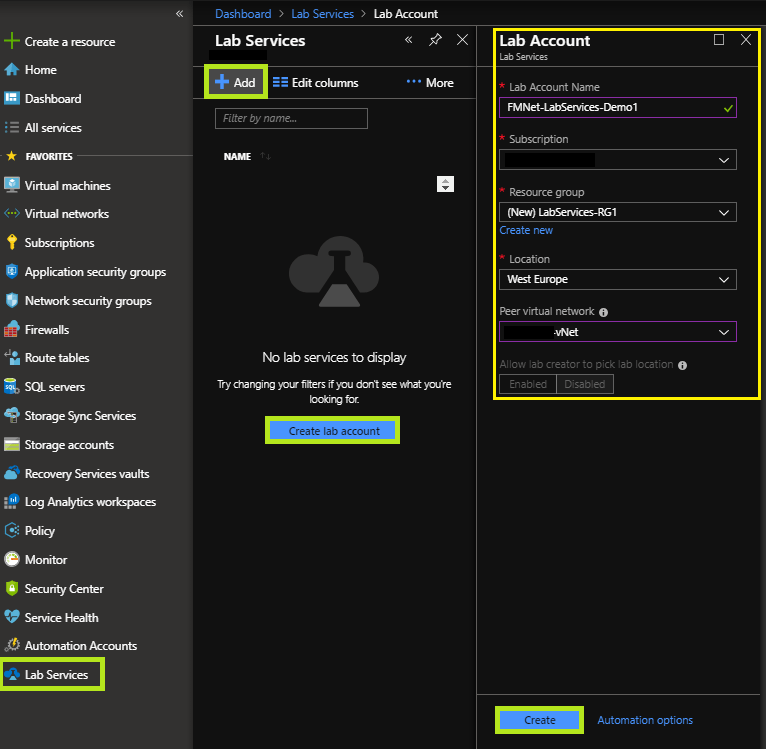 At the moment Azure Lab Services supports organizational account and Microsoft account. In addition, you have the option to set a quota on the maximum working hours of the laboratory by the individual user. For further details please visit the Microsoft documentation. Template: make changes to the template to make a new publication. After completing the registration process, the user can access to the Azure Lab Services site and use the lab environment virtual machine assigned to him. Who manages the lab environment can check the status of assignment of individual VMs and govern the entire lab environment. Thanks to this service you can turn on cloud systems quickly and easily, for lab environments for specific scenarios. All this happens by using the power of the cloud with obvious benefits in terms of flexibility, dynamism and without neglecting the aspects of governance of their environment. The service is certainly destined to get rich quickly with new features to further expand the possible scenarios of use and also to meet the needs of more articulated lab environments. 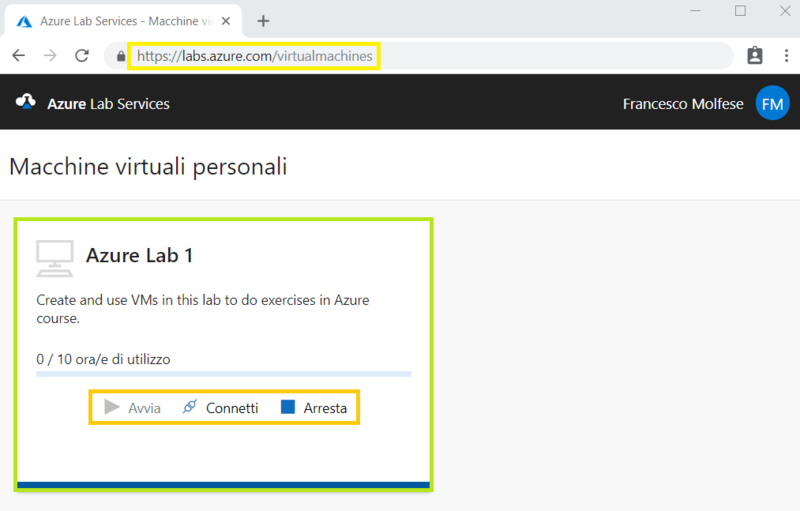 This entry was posted in Cloud, Microsoft Azure on March 25, 2019 by Francesco Molfese.